This classic design features a floral pattern set against a dark black finish. Hints of bronze show through the blackened exterior giving the piece a subtlety worn and vintage flare. 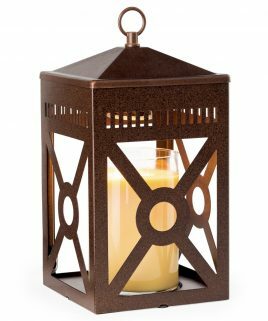 This warmer blends in well with dark decors quietly filling the room with your favorite fragrances. 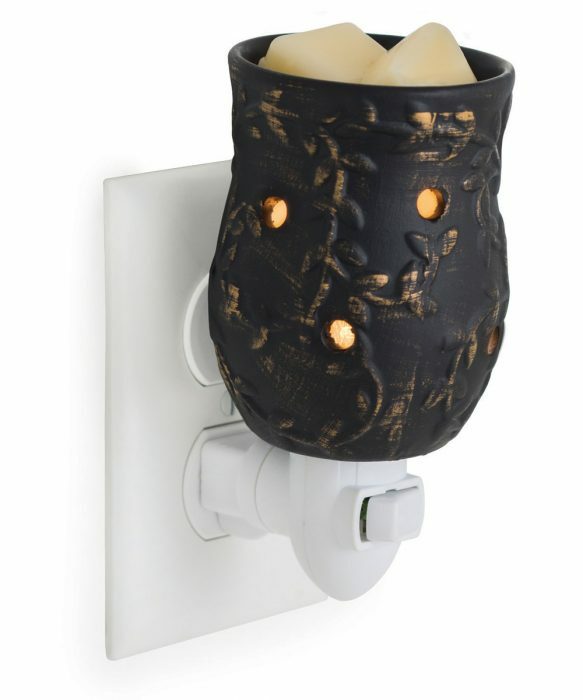 The plug-in warmer contains a bulb which illuminates, and melts scented wax quickly. The fragrance is released with no open flame. They cleaning melt the candle wax and eliminate indoor air pollution and fire hazard. 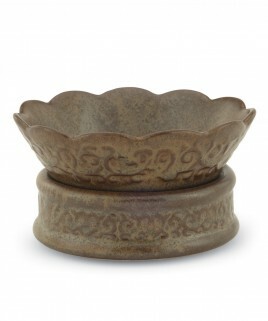 The ceramic dish at the top of the warmer holds approximately 1 oz. of scented wax. Order Melter Cubes or Tart Cups of your favorite fragrance to use with these warmers. Plug into any 120V outlet. 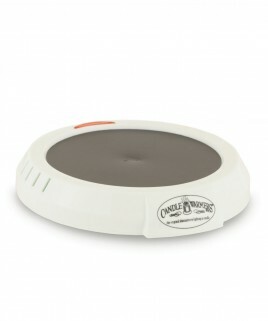 The warmer uses a 15 watt bulb.